How do you feel about reaping souls? Would you consider it as a potential career choice? 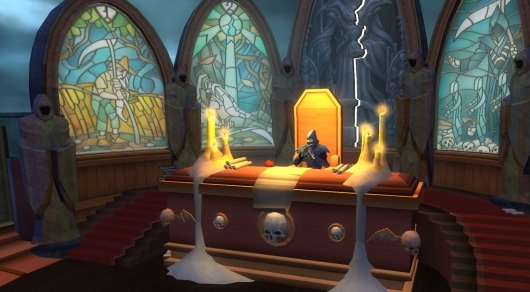 The latest RuneScape update really encourages players to take part. After all, Death is really backed up, and he could use your help taking down some of the game's bosses. Just stop by Death's office, let him assign you a target on a daily basis, and you're off to the races! In this case, "the races" means "kill the boss and claim its soul." So why would you do this other than the simply joy of serving as Death's administrative assistant? Successfully reaping bosses provides reaper points, which can be cashed in for rewards like a reduction to instance creation costs, an increase to bonfire health boosts, and new crafting items. There are also cosmetic rewards if you'd rather just look really pretty. You can read all of the details on the official update page, which should encourage players to really jump in there and start clearing away bosses for a good cause.